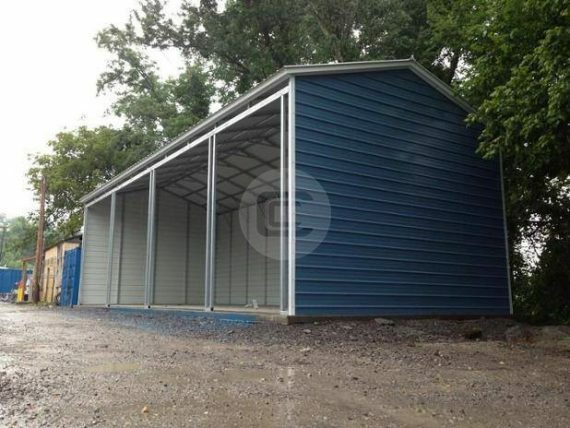 With its four 9×10 framed openings, this 18x41x10 side entry garage is great for storing and protecting multiple vehicles, large equipment, and other oversized items. 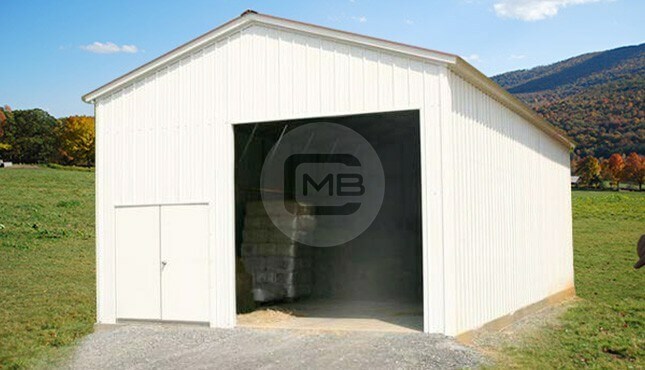 With its 14-gauge steel framing and vertical roof style, this metal garage is built to handle the weather in just about any location, including areas with high winds and heavy precipitation. 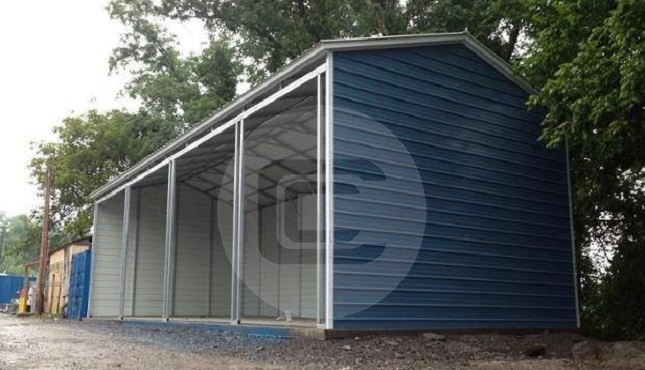 The horizontal paneling gives this steel garage a look that is more consistent with the siding of your home. Need more protection? 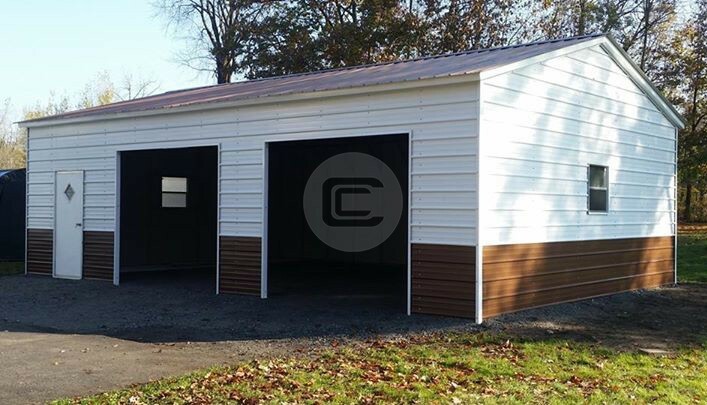 Customize the garage with roll-up garage doors.